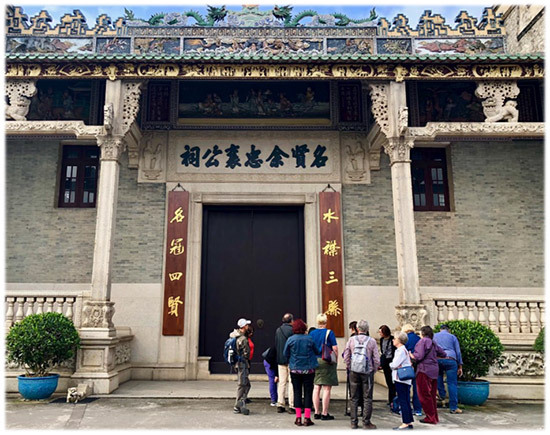 Experience the heritage of Chinese Australian hometowns and share in your tour hosts’ informed commentary, extensive research experience and love of travelling in China. This small group tour has been designed to create the perfect itinerary for a unique holiday, using the expertise, knowledge and skills of Active Travel’s experienced tour hosts, local suppliers and industry contacts. Dr Kate Bagnall is a Canberra-based historian who specialises in Chinese migration and settlement in Australia before 1940. She has a PhD from the University of Sydney and is currently an ARC DECRA Research Fellow at the University of Wollongong. Kate has visited Guangdong about a dozen times, living in Zhuhai in 1997 and Guangzhou in 2000. Dr Sophie Couchman is a curator and historian. She is an Honorary Research Fellow at La Trobe University. Sophie has been active in the field of Chinese Australian history for many years, including as Curator at the Chinese Museum in Melbourne. She has travelled widely in China, living in Wuxi and Shanghai in 2002 and Nanjing in 2013. Active Travel specialises in Independent Journeys to a diverse range of unique destinations. These private tours use private transport and guides, giving you the comfort and security of local knowledge and assistance with the flexibility and freedom to spend time exploring on your own. Active Travel presents favourite itineraries from countries all around the world designed to inspire your travels. You can choose to book the suggested itinerary or have a trip tailor-made to your interests, destinations and budget. Your trip can depart on any day with a minimum of just two people. People who ordered China & Hong Kong Heritage Tour also ordered the free travel brochures below. Click on the images to find out more about these brochures.